Locus Sigilli: "Death is terrible, tho' borne on angels' wings!" 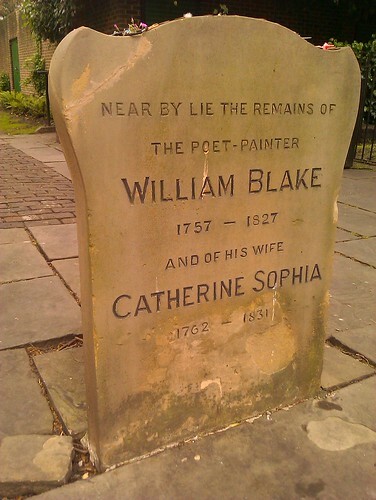 "Death is terrible, tho' borne on angels' wings!" 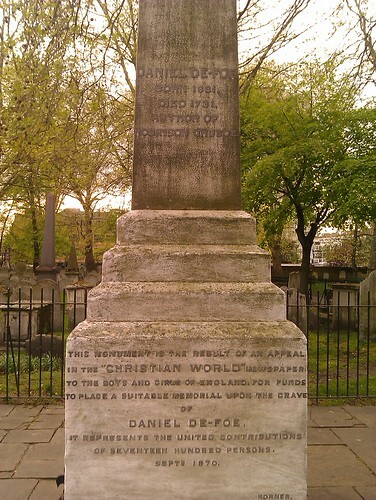 Speaking of Daniel Defoe, I had been struggling back in the old days remembering "The Treasure Island" and "Robinson Crusoe" authors (more precisely, remembering author of one book as the one of the remaining and vice versa). I was blaming the fact that both books are read by Russian kids at the same age, often one after another and also translation made them look more similar than they really are. However, today the myth was busted - apparently, British people have the same problem. At least I witnessed a British company arguing near Defoe's memorial if he was the author of the "The Treasure Island" or "Robinson Crusoe", until they noticed the engraving. P.S. 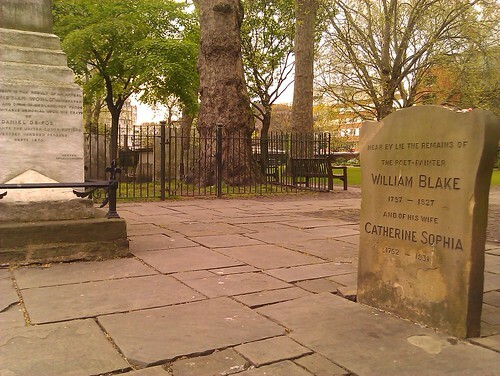 While browsing Wikipedia before writing this post, I learned that Bunhill Fields cemetery is an "ascendant" of our local Abney Park being probably the first London burial ground which tolerated Nonconformists. Never had such a problem even whan I was a kid. Defoe is classic XVII century, whilst Stevenson is a XIX century guy, modern literature. Defoe could be mixed up with Swift as both guys are widely seen as one book authors but still. Stevenson is a decent author by the way. Apart from his classic pieces check out "The Wrecker" (Потерпевшие кораблекрушение), that's nice and funny. And while agreed on Swift being more likely to be confused with Stevenson, still I was surprised to find someone else to have the same problem.